We offer Texas western diamondback rattlesnake fangs. These are #1 quality fangs from south Texas. The small fangs are 0.75" long. The large fangs are 1" to 1.25" long. We also have #2 quality fangs. They are cleaned but with a darker coloring than our #1 fangs, giving them a more 'natural' look. 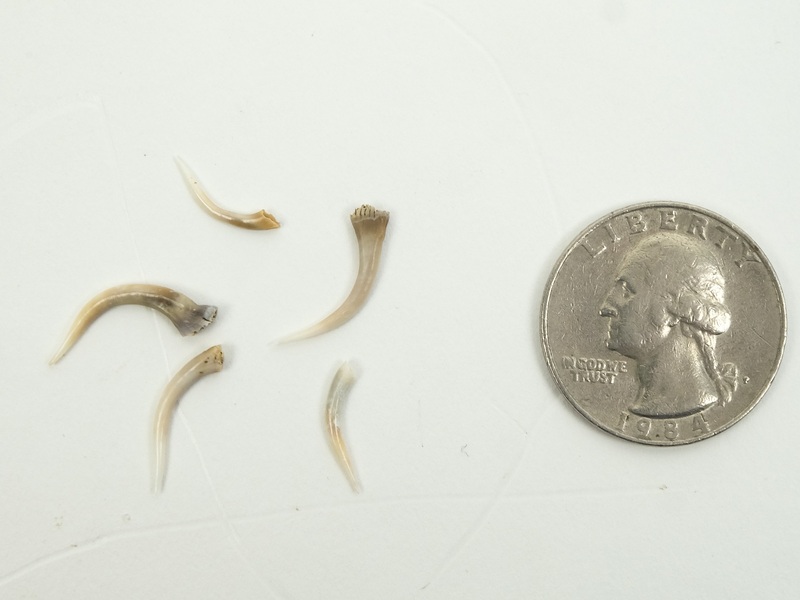 The rattlesnake fang tips are fangs that have been cut off at the socket bone. These #2 quality fang tips are cleaned but darker in color, and are perfect for jewelry making and small crafts. These are sold in packs of 5 fang tips.